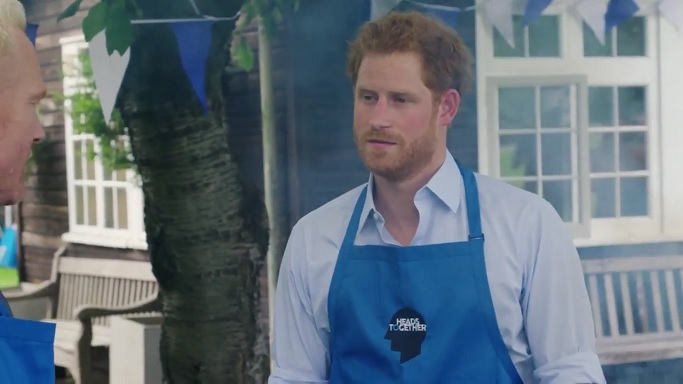 Prince Harry hosted a BBQ for Heads Together at Kensington Palace on July 14 and spoke to BBC Breakfast about mental health and how he regrets not speaking about Princess Diana‘s death sooner. The BBQ featured sports stars discussing their mental health struggles and the need for support systems. “It is OK to suffer, but as long as you talk about it. It is not a weakness. Weakness is having a problem and not recognising it and not solving that problem. “A lot of people think if you’ve got a job, if you’ve got financial security, if you’ve got a family, you’ve got a house, all that sort of stuff, everyone seems to think that is all you need and you are absolutely fine to deal with stuff. I kind of take issue with the “It is OK to suffer, but as long as you talk about it” line. Different people deal with their issues differently and as long as people are dealing with their issues and solving their problems, then they should be free to do so in which ever way works best for them. If that includes talking about it, then more power to them. But if that includes not talking openly about it and dealing with it privately, then that’s the way they need to deal with it. Ending the stigma around mental health is not about everyone speaking openly about their mental health problems, it’s about anyone being able to speak openly about their mental health problems without being judged negatively for it. This event took place and appeared in the Court Circular on July 14, but information on it was just released today. I guess it took ten days for Heads Together to make a video of the BBQ, though why the event wasn’t just a normal event with press invited I have no idea. Considering the last time Kate bothered to give Heads Together the time of day was way back on May 16 when she officially launched the project, I appreciate Harry doing an event for them. Jokes aside, brilliant effort Harry! And thanks KMR for bringing this awesome information to light. I understand why you took the issue with Harry’s it’s OK to suffer line. It was maybe not the best way to express it, but I think he was trying to say we too easily think that if people are doing OK what comes to money, work, etc., we think they must be doing fine with everything and judge them if they dare to say everything is not what it seems. But I have a personal experience with that, so it can be just my interpretation. I was severely bullied at school, which turned my school years into misery, and went through a long period of depression again as a student, and those experiences just taught me how people react when you dare to say you’d actually need support although many things seem to be just fine. I took his comment as two separate thoughts. There’s the “It is OK to suffer, but as long as you talk about it” thought, and then there’s the “anyone can suffer from mental health issues even those whom we think have got it all” thought. I took issue with the wording in the first thought. I agree with you and Harry about the second thought. There are definitely many ways to interpret his wording. He mentioned he regrets not talking about his mother’s death earlier, so maybe that thought was so strong it shone through his comment. But if it took him so long to break the silence, I’m sure he understands people have different coping methods and that those methods can change with time, and he didn’t mean to judge anyone. It’s maybe just that this whole mental health thing is so much about “breaking the silence” and “ending the stigma” that they keep reminding people about the importance of talking on every occasion and it can even sound a bit shallow at times (just my thought, but it irritates me sometimes how e.g. Kate repeats over and over again how the stigma must be ended, and yet she seems to do so little). However, it’s good to hear something about Heads Together after such a long pause. I was actually wondering the other day if we’d ever hear about it again as it’s been all quiet on that front. I agree with you that the buzzwords are overused to the point that they are hallow. Other than “talking about mental health” I still don’t know how they plan to “end the stigma” surrounding it. I like that Harry did this event, and I think all three of them need to do more with this cause. And I like that they are talking about mental health. But at the same time their focus does seem so hallow because they haven’t given any sort of concrete mission other than buzzwords. I took issue with the wording of Harry’s first sentence, and it may just be my reading of it. If their mission were clear, maybe I wouldn’t have read it the way I read it. I have to say I don’t expect much from Kate and William. To me, they are two pretty distant figures and I just don’t know what they really care about, no matter how much they talk about their causes. 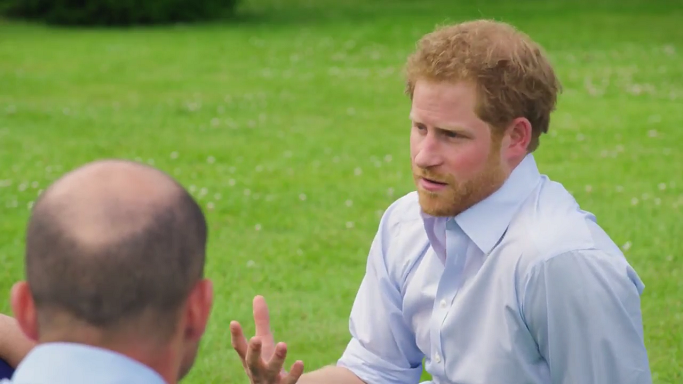 But Harry has showed us that he’s a doer – think about the Invictus Games or the way he’s acted during the short time since he announced HIV work will be one of his main causes. So I’m a bit disappointed he has been pretty quiet about Heads Together, I don’t see him as someone who’d love to be just a symbol and not actually do things. That’s how I’ve interpreted his character. But maybe this is the beginning. I can imagine it’s not always easy, and now that he’s taken up his mother’s death there’s a big risk he’ll be labelled “poor little motherless Harry desperately looking for love and whatnot” again. Being a public figure makes you vulnerable. Mental health is always a difficult issue, and there’s a real risk you just end up overusing the buzzwords, no matter how much you want to help, as you have to figure out how to draw a line between public and private. Harry has been doing some things for mental health /HeadsTogether that simply were not publicised by KP at all. Just a few weeks ago he attended a roundtable dicussion on military mental health. We know about it from looking at the CC. Or his involvment with “The Campaign to Change Direction” that was announced while he was in Orlando on a summit for military mental health. No word from KP, although this is a campaign with Michelle Obama. His main topics in the Heads Together campaign are military and sports. Kate’s is children’s mental health and William “men suicide/bullying”. Since the start both Harry and William have attended events covering these topics. Kate is the only one who is lacking. I know Harry focuses on veteran issues, but this whole Heads Together thing looks very loosely put together to me, so that together with KP’s PR policy (which I just cannot follow) it easily makes me confused what is connected to it and what is connected to something else, particularly as Harry’s been active with the veteran issues even before. What comes to William’s involvement, in my eyes he’s so distant I’m never really sure about what he’s really doing. I know he’s been giving interviews and repeating the same buzzwords over and over again, but to me it’s still not clear what he’s trying to achieve. The public only sees so little of what he’s doing that I at least don’t know how much fruit his efforts are bearing… What comes to his wife in general, after all these years I still don’t know what she really passionately cares about. She just seems to pick bits and pieces but never really gets truly involved. That’s what makes me pessimistic about this campaign on their part and feel there’s more hope on Harry’s part as he’s masterminded and pulled through things like Invictus and Sentebale in the past, and showed he’s able to commit himself long-term. But of course it’s just my interpretation. This is where I think their team gets it wrong. They push a statement/launch out just to show Will, Kate and Harry are working or have been working behind the scenes, but they don’t really think their statements/missions through. Mental health is a hot topic now so they pushed this out probably without doing much work beforehand to see where the key challenges are, what the 100s of charities are working on and what W, K and H can do to help. They also don’t seem able to pin down these 3 and get them to hold regular meetings with the charities in mental health to actually discuss with they are aiming for next. One of my favourite things about the Swedish royal family is their frequent palace meetings with charities. At least they show they try and get involved in what they are championing. Based on history, Harry is the only one who seems interested in ensuring things he cares about get done (Sentebale, Invictus games). If they really wanted mental health as a focus, they should have got him to do it by himself. I get the feeling he’s held back because of Will and Kate. To me it read that it is okay to admit that you suffer, that you aren’t required to keep a stiff upper lip and think that bad things that happen to you are okay. It is okay to *not* be okay with everything that happens, but not okay to keep it bottled up and suffer in silence because you don’t think you are allowed to suffer. Or that your suffering isn’t “real” or “valid” etc. That isn’t clear, but I cannot figure out how to write it more clearly. KMR to your point, I agree that no one should be forced to talk about it. For some, that is the worst possible option. Everyone processes differently. Talking about it does not have to mean talking openly about it. It might just mean talking about it with a person you trust or maybe a professional if you want to keep your problems very private from people you love. That’s what dealing with issues mostly is about. I think that was what he aimed for in his comment. Also, Harry did a private discussion on military mental health a few weeks ago. It was in the CC. William did his Heads Together breakfast on Father’s Day. The only one not doing anything for mental health since May 16 is Kate, ironically the person who was so “keen” on it forever. I still think that people deal with things differently. Not everyone needs to talk with someone, and some people need more time than others before they can open up to people and putting pressure on them to open up can adversely affect them. Or being told that they are weak if they don’t talk about their issues can adversely affect them. Like I said, ending the stigma is about people not being judged negatively for their mental health issues and/or how they deal with them, including the people who don’t want to speak about their issues and instead deal with them themselves. Well Harry did say that he needed a long time to talk about his mother’s death. From his personal experience he thinks talking about your issues will help you. Heads Together has been advertising this from the very beginning. I understand that. And, personally, I think talking about it does help. But, from personal experience, I also think that being forced into talking about it isn’t great and can sometimes set you back a great deal. My problem is with his wording, not the idea itself. Agreed KMR. I’ve done counseling work for a number of years, and I find that some people just want to know that I’m there for them, and they can have an hour of comfortable silence. They can talk if they want to but I don’t force it. I’ve actually had much more success helping people this way because they know I respect how they are feeling and am building trust for when they want to open up. I do like this BBQ. Simple events are very therapeutic. Minimal branding helps IMO because I’ve found people suffering from mental distress etc. don’t want it “in their face” that they are suffering from a disorder. A sign on the door, or sometimes nothing can help encourage people who are offish about coming. We seen people retreat from a branded event so we try to keep very minimal. I applaud Harry for taking on real challenges and trying to promote this worthy cause. Sunny, that sounds fantastic. One of my biggest problems with therapists is that I don’t know them and don’t trust them. It’s hard to deal with trust issues when you don’t trust your therapist. Thanks KMR, it’s really great to see someone start to blossom out of the pain they are often cocooned in. When my mother died, I didn’t want to talk about it, and it bugged people, but I just wasn’t ready. I remember feeling like there was this huge scream inside of me, but it was locked up. It took almost ten months before I finally was able to really cry and take a real breath. There’s no rhyme or reason why it took me ten months. I took the Eleanor path (Sense and Sensibility) because that’s my way. Other people are Marianne’s and that’s ok [that’s just how I think about the difference for what is more complex]. But we all need respect, knowing that caring hands are close, but space to do it our way. People definitely deal with things in different ways, and the ways of dealing can change over time as well. But it’s important not to judge people like you said, although some ways of dealing with your issues can be even self-destructive like drugs. The real challenge is how to help people and see them as individuals. KMR, I understand what you are saying. I am somebody who deals with some issues on her own, though I have learned to talk about some things, that I haven’t thought I would be able to. It depends, however, on the reason why you deal with it yourself. If you do it, because you feel anxious about the reaction of others (the stigma) or because you have been trained to keep a stiff upper lip, Harry’s words will help. Because talking helps those people and Harry is certainly somebody who was inhibited by the stigma and the need to stay strong in the public eye at a very young age in a very traumatic situation. How many have fawned over those “brave boys” after their mother’s death? If you decide to deal with your issues or some of them without talking about them, because you are rather self-reliant and competent to do it, then talking is neither necessary, nor helpful. I don’t think what Harry said takes away from that. However, this initiative requires publicity. Stigma can only end by bringing a topic out into the open.Harry and William have both attended events and publicly supported the cause. Kate Middleton is, as usual and unsurprisingly, missing in action. To clarify again, my problem is with one part of one sentence from Harry’s comment, not the entire idea of talking about one’s problems. My issue is specifically with the “but as long as you talk about it” part of the sentence “It is OK to suffer, but as long as you talk about it”. With that qualifier Harry’s saying that the only way your suffering is okay is if you talk about it; that you have to talk about it. You have to talk about your mental health issues and if you don’t, that’s not okay. That’s what I have a problem with. I have a problem with the idea that if you aren’t talking about your suffering, then your suffering is somehow not okay. That line of thought is only adding to the stigma, not reducing it. Because what happens when someone doesn’t want to talk about it and instead wants to deal with it on their own (in a healthy way, not with drugs or alcohol)? Do they now feel shame for not talking about their issues? I fully understand and support the idea that talking about mental health issues and being accepting of people who have issues is the way to break down the stigma surrounding them. But at the same time the purpose of ending the stigma surrounding mental health issues is not to force everyone to talk about their issues. It’s to allow anyone who wants to talk about their issues to do so without being negatively impacted. To say that “It is OK to suffer, but as long as you talk about it” is to take the opposite approach to the previous approach to mental health issues, which was to force people not to talk about it. Now they have to talk about it? My entire point in bringing this up was to say that people should be allowed to choose which approach is best for them because everyone is different. My point had nothing to do with whether Harry and others speaking about mental health issues was going to help break down the stigma surrounding mental health issues. I fully agree with that. And I agree that this initiative needs publicity. I just disagree with Harry’s use of “but as long as you talk about it”. To me, that qualifier is worse than Kate implying that kids with good childhoods don’t suffer from mental health issues. I understand what you mean. It’s difficult to interpret as we don’t know what he really meant. I still have to watch the video but I interpret this as something that relates to his own experience about not talking about his mother. I don’t want to think he meant to judge people, but the wording was poor, which again shows us public speaking is not easy. You can end up generalizing even if you don’t mean to, and although you’ve been thinking about what to say you may lapse. But I definitely agree there are different ways of coping and not just one and only correct way. I interpret Harry as saying – in a way that is not quite clear – that he internalised his feelings too much and that for him it was not helpful. That looking back, he would have been better off opening up to trusted people in his life (family, therapist, friends). I wonder if part of that reticence is being British and where you have to put a brave face on grief. It’s a coping mechanism of sorts. After a while it’s hard to bring the issue up because everyone thinks you’ve moved on, as they have with their sympathy not realising that that empathy needs to carry on for as long as the person needs it. I’m glad Harry feels he can talk about his own situation. Perhaps it’s his way of reaching out to people whom he will never meet but who are in a world of pain that they cannot share with anyone. Yes, people deal with things differently, but as someone who dealt with the loss of an older brother when I was a child, I learned that for me talking about my feelings to a professional was what helped me most. My brother was sent to pick me up after a school activity because I wanted to stay longer and my mother needed to attend to other things. For years, after my brother’s death — I felt guilt that I stayed too long at school and he would not have had the accident if I had not — I bottled things up for a few terrible years — even though, my parents sent me for counseling. It wasn’t until I couldn’t go to classes anymore, wouldn’t see my friends, that my parents found a different “bereavement” approach for me. It worked. Because I talked to others who were having similar feelings. And, realized that by all of sharing our thoughts with each other some healing could begin. I guess people cope differently, but Harry was speaking from where he is and I am happy he addressed something that he needed to address. I give him credit for that. So many times on this site, we rail that William needs to address things, and Harry is saying that is important and he’s being criticized? I don’t think that is fair. I don’t have much of a clue as to what this organization that he’s involved in stands for, but he appears to be making more attempts than William and Kate, so I applaud his efforts. I didn’t mean to criticize Harry. As English is my third language I can’t always express my thoughts the way I’d love to, but I meant his choice of words could be interpreted as generalizing, even judgmental, and that shows how difficult it is to speak in public as your message can be perceived in many different ways. But I definitely think he was speaking from where he is now and I was happy he felt able to talk about his mother that way as he clearly felt it was important. Somehow it makes him even more sympathetic when he kind of admits he has had his struggles and he realizes it. I’m so sorry to hear what happened to your brother. You were blessed to have parents who could look for help for you in spite of their own grief. Hello, Grace. Your English is perfect. I am afraid, I would not be so verbal in any other language! Thank you for your kind words. It is important that everyone find help in any way that suits them. That would be my message. I am sending s virtual hug to you, Jenny. I am profoundly sorry for your loss. I am so happy that your family got you the support that you needed. Thank you, Rhiannon. Not a day goes by that I don’t remember my brother and wish he was still around. I still have bad days, but you come to realize that things happened because that is how the Universe planned things. I hope each day finds you moving ahead. I know this is a difficult time for you and I wish you the best as your push on. You are a strong woman and I know you will get through this. You have many, many people in your corner! I agree. Things happen for a reason even though we may not see it as it happens. Jenny, your kindness knows no bounds. Your words always come at just the right time. Your daughter is very lucky to have a compassionate mommy like you. Please give little Maddie a snuggle for me. Rhiannon, you are so kind. I’m the lucky one. Madeleine really is a blessing. Some days the world seems so very insane and negativity just seems to be everywhere. Then, I see her little face. She is so interested in everything and enjoys her little life so much! Remember, we are here when you need us! Your light shines so brightly on this blog. I know it does the same wherever you go! I will cuddle her for you and she will no doubt, cuddle you back. Oz, my heart is with you. Grief is hard. And, I can see what you are saying that nobody cares about you as your parents did. I hope you feel that they are still watching over you. Sending you a hug. I lost my mother five years ago and I miss her. It’s like becoming untethered. Like my roots had been cut and I was dying. I hope you are ok and glad you feel comfortable sharing. These are hard things to talk about. I’m glad that Harry’s work has encouraged others to connect, in whatever way, with others rather than destructive choices. Sunny, what you wrote about losing your mother touched me so much. I am sorry she is no longer with you here, but she is in your heart forever. Such a painful loss, I am sure. Thanks for your kind words – about 5 months after my father died I saw a therapist – and it does help to talk. It is now almost 6 years since my Mum died – things improve over time. I tend to agree about the wording as we all deal with loss and grief differently. But as he spoke about his personal experience Inalso kinda get that he had focus on that part. But you know what I like about Harry, he actually talks to people, he doesn’t avoid to discuss a topic and he asks questions. It’s more than the “I’m glad to be here, it’s an important topic, take a pic and I’m off again…”. And I’m also glad he was doing something for Headtogether as it felt a bit like they already forgotten about it again. Same with his HIV/Aids work, he talked to doctors and experts at hospital to get the necessary knowledge, he got his test taken to bring awareness to the topic, he made a speech at Aids conference, visited Sentable again… it’s not just fun events, not just showing up for 30min for a pretty pic. Most important he actually seems to care and wanting to help. Really hope he will keep that up and will do much more in future! Mr. Rhiannon is wonderful. He’s about the words and action. Imho, I feel like there’s like a sadness behind Harry’s eyes at times. When I saw him at the IG he was jovial. But when the lights were down, you could tell he was pensive and deep in thought. I’ve seen it in a few of his interviews. I think he wears his heart on his sleeve. I’m so proud of him. KP needs to focus more on him. They are wasting their time on the other two. I’m insulted that Kate jumped the bandwagon yet has done nothing of substance to support HT. Thank you for your comments about the topic of “talking about it”. I’ve suffered from depression for years and when someone tells me to “talk about it”, I have a tendency to withdraw. For some, it’s not that easy. Thanks for the post about, Mr. Rhiannon, KMR! Harry seems like a very emotional person to me, and I think it’d have been impossible not to be moved at an event like the Invictus Games. It must be difficult for him to hold back his emotions at times when he meets injured veterans or seriously ill children. I think he’s a great man, always showing he cares and turning his emotions into actions to help people. Rhiannon, depression hurts. If you cannot talk about it, have you tried writing about how you feel? Sometimes getting things out on paper helps. It’s hard when people hold things in. Harder, if you are not prone to talking, I guess. I always send support your way. Believe me, I do. I’m disappointed to say that this is the same trite drivel coming out of the glib mouths of the rest of the pack. This mindless meme has got to die, it means *nothing*. He says he regrets not talking about it? Why? What does that mean? To whom? For what purpose? How? Inquiring minds want to know. It’s a pathetic soundbite. I see Harry has been co-opted by the Cambridges to do their dirty work while they swan off to sail with the uber rich. I do give him props for trying and for his earnestness, but he is being badly guided. Maybe you should search for the videos. He said all theses things in a conversations with others. Very easy to follow. His comment about regretting not to have talked about his mother’s death earlier came during a conversation with Rio Ferdinand who lost his wife last year. They talked how children coped and Harry told him about a friend who wanted Harry to meet his three children after their mother died, to talk to someone who has experienced something similiar. Harry than said that he only started talking about his mother’s death about three years ago. The pathetic soundbite comes from the press not being able to tell the whole story, not Harry. I just don’t like this campaign, period. I think it has a very middle class message and not enough info on what to do next (after the buzzwords are said and done) I’m a teacher in the US. I work in a predominatly black school and everyday I see parents depressed living in poverty but they have to set aside their mental health in order to provide food for the week. Harry and his friends in this video do not have to worry to fill out section 8 paperwork or food stamps paperwork so yeah they have a little window open to say: maybe it’s time to talk about it. My point is that this generic global umbrella of a message that is HT has gotta go because it is hurting more than helping. Your thoughts and point of view are very interesting and I appreciate that you shared them. I grew up very poor in downtown Denver, where I was raised (I’m white) in a almost all-black community. We had zero money, everyone lived on food stamps, and yet I look back with some fondness on that time because most everyone was so open and sharing with the little we had. Our neighborhood would have weekend “block parties” where we would all bring whatever, hot dogs, beans, salad, and share it on a big table. My mother would grill on her little hibachi and I would play hopscotch or jump rope with the others while the grown ups talked late into the night. What’s missing today is a sense of community (by and large). It’s all about being rich, and if you’re not, people are miserable. I live in a more affluent neighborhood now, and the snotty behavior is just sad. Being proud because “my new car” or some other superficial thing drives me nuts. Especially when half of my neighbor kids barely see their parents and half are doing things that are heartbreaking. I agree with you that there is a financial element of fear that Harry and others don’t have. But the poor don’t realize anymore that when you’re down to rocks, you’ve got something solid to put your feet on and start to push up. And the masks are off. You know who you are. I personally loved Diana because I could see her comfortably being at the block party that I just described, naturally talking about challenging issues with honesty while Harry (not Will) played four square with us. Like Jenny said down thread, everybody hurts, and they need to know they can express it in whatever way, and that others will be there for them. It’s that commonality that builds us together as people again. Thanks for sharing. MTR, with all due respect, pain is pain whether you are rich or poor. Harry’s loss of his beloved mother should not be written off as less of a heartache because he is Royal. I’m sorry, but I don’t agree with that. People are people. It’s the same thing when people tell a grieving person who just lost a beloved grandparent, “Well, he/she lived to be 90 years old.” As, if that should diminish one’s pain. In my opinion, I respectfully disagree with you. If this campaign helps some people, then it matters. Whether they are rich, middle class or poor. I’m tired of people playing the “class” card, anyway. When it comes to feeling being hurt! Dear Jenny: and I agree with you, but let’s not forget that if a person is poor, that cycle of poverty needs to be added on how that person reacts and grieves into the loss of a loved one that was also the main provider, for example. My point is that is wise to also acknowledge other areas in the live of a person (i.e. social class) that can contribute it to his or her mental health. Tons of studies have showed how unemployment, ageism, sexism, poverty, and the list goes on, they all contribute to damage mental health, but here the message of HT is so unfocused and try to cover such a general feeling (people of all races and nationalities) that we don’t know: Is it about the lost of a loved one? Is it because you lost your material possesions and cannot find a job? Is it because x and y? Where can I get help? I don’t have that clear. Look, I like Harry and I love how open he is with his feelings, but this campaign is so disjointed that they all need to let go. MTR, I see where you’re coming from and I fully agree that poverty makes dealing with mental health issues so much harder. I know about the homeless in the US, about the working poor and the destitute. I know about the heroin epidemic and substance abuse crisis, the suicides, the mass shootings. Being from a middle class or even more privileged background grants you the means to tackle your mental health problems. Otherwise you’re on your own. However, HT is not quite as unfocused as you claim. William concentrates on men’s mental health and suicide prevention. Harry deals with the military, veterans and ptsd. Kate is supposedly interested in children’s mental health, but somehow manages to make herself forget. (She needs to be replaced real quick, if she doesn’t step up. This is important) So, this is quite a wide field. The main difference to the US is, as far as I can tell the different health system. Through the NHS everybody is covered, it needs to improve a lot, but coverage is available. There are more worker protection laws, like paid sick leave, which make a huge difference, because you can take off work and not lose your paycheck, at least not all of it. Thirdly poverty is not as epidemic (yet, the Tories are doing their best to close the gap to the US), I’m not saying it is not there, I know it is widespread, but welfare laws are slightly better than in the US. With the NHS available to cover the cost of treatment and less working poor families, the issue is getting help and asking for and accepting help. So working against the stigma, getting people to know more about mental health, so they can get help is what is lacking in the UK. And the knowledge of how much help is indeed available, where and how. In this respect HT is spot on. My first time posting here. I just wanted to share my experience with the NHS while living in London from 2010-12 (Merton/Colliers Wood). Suffering from depression most of my life, I once went to my GP in tears, overcome. Long story, but suffice it to say I was alone and severely in need of help. And I begged them for help, knowing I needed it. I was told that the wait time for a therapist was 2 months, and I would only get two sessions. Of course, I could come to them “anytime,” but considering they seemed at a loss as to how to talk to me at my lowest point, I did not take them up on the offer. My point is just to say that the NHS needs to improve dramatically although maybe they’ve started to make those strides since my time there. Actions speak louder than words, which I think is a point many posters have made. Glad that you are feeling better! For what it’s worth, I have the same issues with the NHS to treat my depression while living in York, England 2009-2013. Quite happy today, too 🙂 Thanks for sharing your story ! Thank You for sharing this Katie. I am from Canada and while we have a much lauded universal health care, it is very shoddy and ‘patchwork’ when it comes to dealing with mental health issues such as clinical depression. My brother suffered from bipolar and clinical depression and it was years of medical services just failing him. I think this is getting rather political. Something, we have been asking to avoid. My take on this problem is that at least, Harry spoke. And, if he is trying to let people know it is ok to ask for help, if they feel they can ask for it, then it’s fine. It is rather sad that he believes he should have spoken about the loss of his mother sooner. At least, he is aware of that and hopefully, he has received supportive assistance from a trusted person, or people. I know it can be hard to find the “right” match with a therapist. People can give up if things don’t work out after two or three times. That’s a subject that needs to be looked into, too. It is a pity that mental health concerns are not looked at in a critical light, as many physical disorders are. When someone has cancer or a bad heart, it’s off for care, immediately. When depression, anxiety, or any other mental health issue is diagnosed, often the help one is offered may not suit the individual and so people don’t address what needs to be addressed. That’s sad and should be addressed by the medical community. Katie, MTR, Red Tulip, first of all I am happy you are better and happy again. What you experienced with the system is what I meant when I said it needs to improve a lot. Unfortunately mental health has been under the radar of most health systems. I am in Switzerland and under my plan have to pay out of my own pocket. So, I’m spacing therapy sessions as far apart as possible. It’s expensive. You expressed yourself quite well, MTR. I am still of the thought, however, that grief is grief and a rich person can bleed just like a poor one. Of course, my feelings are hurting when someone else hurts, but I am not going to take anything away from Harry. I am happy that he is saying something that he thinks might help others, whether they are rich or poor. I don’t think I am as eloquent as you are. Sorry. I agree with you Jenny. It doesn’t help anyone trying to decide whose mental health issues are more justified judged by their background. Actually my best friend from my childhood ended up homeless and died from tuberculosis in spite of being from a very privileged background. She was beautiful, smart, rich and yet she struggled with depression for years. In the end she just abandoned it all as she could not heck anything any more. I know her story is an extreme example and I’m familiar with the studies on how e.g. poverty is a risk factor what comes to mental health, but I don’t want to think one’s story is not worth listening to if you’re from a more privileged background. Just think about how common mental health issues are everywhere. They can affect any of us. Grace, what a tragedy about your friend. I’m very sorry. Yes, I agree that mental health problems are difficult for all. Physical issues, too. I just would never turn my back on anyone who is suffering. Who are any of us to say, well, you have money, or you are middle class, so your problems are not as horrible as those facing the poor. We are all people and if we don’t stop this type of thought process, humanity continues to fall apart. Obviously, I feel passionate about this, so forgive me for going on, KMR. I will stop now. Harry did a nice event and yeah, I think his comments were taken (somewhat) out of context. For instance, after he says “…as long as you talk about it…” he goes on to say (hastily transcribed by me) “…if you taste success and then you can’t get yourself back to that or you’re not fit enough or you’re not performing to the right standard, you can end up suffering.” He was gesturing to the athletes he’d invited to his cookout. I kinda know what he meant to communicate – the words just weren’t quite “right”. Maybe Harry was having trouble articulating what he meant? The English are known for not being very good at talking at how they feel, and the males are especially bad so I think Harry did really well considering. The photo of Diana and a very young Harry is so lovely and heartbreaking. I agree with a comment above that the mental health initiative really needs expert professionals to be part of the conversation, if W&K (who I seriously doubt care at all) and Harry hope to be successful. Buzz words and phrases can’t possibly get at the heart of a serious medical diagnosis of depression. It’s good to see Harry follow through with this initiative, but non-professionals can only do and say so much, most of which is anecdotal and not based on scientific research. So much is yet to be discovered and researched about this crippling disease and I hope to see a medical breakthrough during my lifetime. Just finished reading Lady Colin Campbell’s book about Diana. In it, the author came out and said that it was a well known fact that Diana and Harry were closer than she and William. I had not heard that. The photo of Diana with young Harry really was touching. So much love she had for the boy! Also, the book goes into great detail about the hard work Diana did for all of her patronages and every cause that meant something to her. Many different people associated with charities spoke so favorably concerning her tireless efforts. Interesting and when one thinks of how little Kate does for any of her patronages, except the sailing, you cannot help but be critical of the Duchess. It’s a very muddled message indeed and I wish there were more concrete things being said, but at least Harry is pulling his weight as he always does. I wish I knew the real purpose of this besides trying to raise funds for the various charities involved. It sort of makes me think it’s ‘pretend work’ for W&K to get their names out with doing very little when it’s Harry we see but Harry they do not promote. What is the point? Talking is great. Of course it is. But really focusing on the negative stigma that /comes/ with admitting you have a problem, that it is not weak, is the issue–as has been pointed out here, and as Harry has said. Buzzwords and showing up every once in while to promote it won’t hack it but it makes them look busy. I mean, hey, they post about his on the British Monarchy FB and people compliment the Cambridges first before Harry on this. That’s the point of it: making it look like W&K do things and work when they don’t, and use Harry instead. Shades of how it will be when William is king if he makes it there. Wow you all are so hard on someone you don’t know and have never met. You don’t know what goes on behind closed doors. Perhaps Kate is a wonderful supportive wife, mother, daughter-in-law, sister-in-law and is invaluable to her family. That in itself is enough. She’s not queen and her husband is second in line, not next in line. She has years to define her role and she’s certainly entitled to her own style. As for Harry’s statement, I believe it was brave and indeed a huge step forward to knocking out stigma. Stigma not only prevents those with mental illness seeking help, it also affects family members from getting help for their loved ones and for themselves. Mental illness in all forms affects the entire family. Talking about it with anyone is the first step in getting help. Not necessarily for everyone. That’s my entire point. Talking about it works wonders for some people, but not for everyone. Ending the stigma is about not judging those who chose to talk about it. Not forcing everyone to talk about it. There are posts and responses that are quite complimentary to Kate on this blog. I’ve even praised her. Kate is an enigma. Imho, the issue for me is that HM is getting on in years. Charles may have a short reign. W&K, at this rate are not prepared for their upcoming roles and responsibilities. I, for one, wanted Kate to use the platform that she was given to highlight something. However, when she does, it’s for a brief moment. I was excited about her work with hospice care for children. But, she’s all but abandoned it. As far as her style, my concern is that it isn’t appropriate based on event. Showing up and looking the part is what we all must do. Tailoring, grooming, and behavior is what we all see. Lmbs382, I’m just sharing my own opinion. By no means is this an attack on what you stated. This blog is a review and we all have varied thoughts and reactions. For me, it’s allowed me to both learn and rethink my own opinion. Sure Kate could be a wonderful person and fulfill her various responsibilities very well in her private life. Of course, I am not sure about the Daughter-in law part, as Charles has publicly complained about not seeing enough of his grandchildren. I would go as far as to say, we do not know if she is Mother of the Year material either, as she has a full-time & live-in nanny (and have even read on this website that she has night nurses, on top of that), who do a lot of the day-to-day looking after of George and Charlotte. Yes, if Kate worked the Royal’s equivalent of full-time work, then it absolutely makes sense to have a full-time nanny to help with her children, the way plenty of mothers do worldwide and still manage to fulfil all their personal and professional roles. But Kate works less than part-time hours. So why does she need a full-time/live-in nanny to look after her kids? What does she do all day? What Kate does all day is the question the Queen has asked and I’m sure is one of the biggest mysteries of the universe. I think given her “work” history, she believes that she is super busy, yet her “work” schedule is probably one that the rest of us could handle in a day. • perusing royal work prepared by her staff as required. By bringing together some high achievers, the simple takeaway is that depression can afflict anyone. These people look to have it all but it’s not quite the case, and this is how they tackled depression. Repeated efforts to de-stigmatise mental health issues will eventually see prejudice disappear; this has been seen in many other health initiatives over the years. I don’t believe Harry is preaching a particular way forward, just reflecting on what he wished he’d done for himself. Should a monarchy continue, Kate may have a long preparation ahead of her before becoming Queen Consort. However, her performance to date gives no indication that she is (a) interested in the role or in others, and (b) capable. Like any job that one excels in, it is about building skills, confidence etc from the ground up so that expertise and knowledge becomes truly ingrained. We all know the fakers in life, those who do the minimum and skate on the flimsiest preparation. The critique Kate receives on this blog is a direct response to her public persona and achievements; what she said she was going to do and what she actually did. A good example is her PR message claiming that Kate is ‘keen’ and ‘passionate’ about x,y,z and will ‘hit the ground running’; it just never happens. Kate’s past signals to impressionable girls/ young women that physical attributes and flaunting one’s sexuality is the way to a successful life (ie success defined as acquiring material goods and fame). No developing one’s abilities, no working hard. I don’t give two hoots about her clothing, jewellery etc except that Kate dress and behave appropriately for all public events as a representative of the UK. I have no idea what Kate is like in private though it would be highly unusual to be the complete opposite of what she appears to be in public. Caring at home, but not publicly; working hard in the home but never working anywhere else etc. The set she has infiltrated through education and marriage has nannies and various staff. It seems to be the norm for them so why conjure a persona of being ‘normal’ and ‘hands on’ when you’re not? Sadly, it all comes across as contrived, and a deliberate act of manipulation to court public affection. +1 you said this better than I could have imagined. Haven’t read everyone’s comments yet, so apologies if I duplicate. I was getting tweets all day from KP about this BBQ. I think it’s great that Harry did this BBQ, however I would like to know where the other 2/3 of Heads Together were. Once again, Harry is doing all the heavy lifting while W&K sail on boats. It’s great that Harry opened up about wishing he had talked to someone about his mother’s death earlier. As KMR said everyone processes things differently. Talking works for some people and doesn’t work for others. Grief is a very personal issue and process for everyone. That being said, it’s always good to know you have an option if that’s the route you choose. I went through a grief program twice when dealing with my husband’s passing. It helped me immensely. It was a group setting and you were encouraged to share but you didn’t have to. I met some really good people and we all worked through our grief in different ways, but knowing you weren’t alone definitely helped. So, kudos to Harry for once again putting himself out there and doing something. Lisa, I was saddened to learn of the loss of your husband. I am glad that you received supportive assistance when you needed it. I also hope that you have good friends and family who are still there for you. It does not matter how long ago a loss occurs, we all need to feel as if we can count on people if we need to do so. That’s why this community is so special. Thank you mary elizabeth. Today is five years. Seems like forever and yesterday at the same time, but I’m good. If I start to get down I remember the joyful parts and go from there. Lisa, I also express my sympathy to you. And, an anniversary of a loss can be very difficult. Good for you, remembering the the joyful parts. That is what helps one through. Take care and know you are thought of highly here. He’s just back from South Africa. He’s the best. Will you cover his speech and work at the International AIDS conference by any chance? I think the talk about it line was more so don’t suffer in silence. A lot of people don’t talk about mental health because of shame, because of fear and not because it’s the best cause of treatment for them. I think it’s more at the very least letting a GP, counsellor or psychologist, etc. know. Seeking medical assistance or your support group – a family member or friend, it will be different for everyone but no one should suffer alone and I think that was the point. Exactly what I think, Gie. In no time Harry said thet “talk about it” was what would end the stigma about mental health. He just told to talk to someone, to not suffer alone. There is nothing like good food and good company to bring people together. I applaud Harry and his team for being a bit creative here by hosting a cookout as way shine a light on his Head Ups initiative. I am so thrilled to see one of Royal Trio actually working toward ending the stigma of mental health issues. Although, I do agree with others here in that this initiative is so broad based it’s rather difficult to get a feel for what the actual goal is and how they plan to achieve that goal. On a completely shallow note, blue Harry?? Really?? Another blue shirt!! Please Rhiannon, you must rid his closet of most of his blue clothes and introduce him to other colors!! I agree. He has a bland “uniform”. Casual: blue shirt, khaki/bpue pant, brown suede shoe. Dinner casual: black jacket/slacks, white shirt with no tie. However, he wears the heck out of a suit and tie. Don’t get my heart fluttering on him in his military uniforms. Mr. Rhiannon needs hunter green, rust, grey, chocolate brown, mint green, aubergine in his closet. Heck, I’ll even throw in a teal for good measure. I don’t really care if William and Harry speak about Diana’s death or not. Makes no difference to me.